You begin to suspect that Patty Wagstaff loves animals as much as planes when she speaks fondly of her three Jack Russell terriers and four birds that live with her at her home in St. Augustine, Fla., as well as the horse she keeps in a stable nearby. Then, there’s the fact that the three-time U.S. national aerobatics champion and internationally acclaimed air show pilot is dedicated to helping preserve wildlife in Africa, while assuring the safety of the pilots who protect them. On January 27, Wagstaff and a friend traveled to Africa to provide aerobatic and recurrency flight training for pilots of the Kenya Wildlife Service. This was the fifth straight year that she performed that service. Wagstaff, who first earned her flight instruction certificate when she was a bush pilot in Alaska, feels that her work in Kenya is probably the most interesting thing in her life right now, except for keeping up her air show schedule. According to Wagstaff, the training is necessary because most of the Kenya Wildlife Service pilots are young, with little experience and low hours. 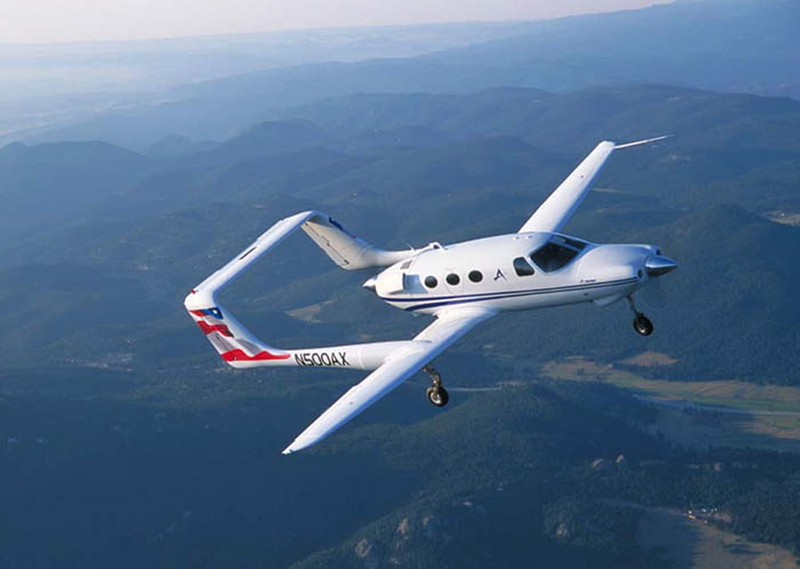 Consequently, the service has historically experienced a high pilot accident rate. Thanks in part to the assistance Wagstaff and her friends have provided, that rate has improved lately. Pilots for the Kenya Wildlife Service pause during one of their training sessions with Patty Wagstaff as their flight instructor. Wagstaff enjoys working with the friendly and appreciative Wildlife Service pilots, and never tires of the animals and landscapes, but after three weeks in Kenya, she’s eager to get back home, to the company of her own animals. Not all of those animals are there simply for companionship. As an air show performer, it’s important for Wagstaff to keep in shape. One way she does is English-style horseback riding, which is considered the most demanding form of the sport. Patty Wagstaff in front of her Extra 300S at her hangar at St. Augustine/St. Johns County Airport, where she bases Patty Wagstaff Air Shows. That’s where you’ll find her most of the time when she’s not flying. In fact, when considering anything else she might’ve become, she imagines she could’ve been an Olympic athlete “doing equestrian stuff.” She also keeps in shape by doing anything she considers a really good workout, including rock climbing, swimming and water skiing. Her desire to challenge herself is also why she was drawn to aerobatics and competition flying. Even at this time of year, she flies regularly to practice her aerobatic routines and to keep in good physical shape for the coming air show season. It’s important for her to do so, since she pulls about seven negative and 10 positive G’s during her air show routines. Once back home in mid-February, she began finalizing her plans for the 2005 air show season. Her first performance of the year will be at the Team Moody Air Fest, to be held April 8-10 at Moody Air Force Base, Georgia. She’ll be performing at 12 additional events throughout the year. Anyone who knows what Patty Wagstaff has accomplished might think she was able to do so because she was born with a clear path to the skies in mind. After all, her airline pilot father, Robert Thomas Combs, provided her with thorough exposure to aviation. Her younger sister Toni followed that same path to the left seat. Today, she’s an airline pilot and captain with Continental Airlines, based in Guam and flying commercial jets throughout Micronesia. But the direction wasn’t initially as clear for Patty Combs, who earned her pilot’s license while in her late 20s. In addition to the fact that her free-spirited or “gypsy” nature pulled her in other directions at first, she said she didn’t have the opportunity to fly growing up. Her father, who was working as an Air Force pilot when she was born in 1951, and her mother, Rosalie, had moved the family from California to New York and back again before their oldest daughter turned 5. Shortly after their second daughter was born four years later, Japan Airlines hired Robert Combs to fly on contract for the International Air Service Corporation. The family subsequently moved to Tokyo, Japan. She said that people come to the U.S. to learn to fly because the opportunity is better here than elsewhere. “I really hadn’t lived in the U.S. when I was a kid, so it took that long,” she said. Patty Wagstaff has flown several aerobatic planes over the years, including a Pitts S-1S biplane she owned half-interest in during the mid-eighties. Other factors that delayed her aviation career were the frequent moves that often are apart of an airline pilot’s life and her desire to live apart from her family as she struggled to find her life’s path. Eventually, she would live in Yokohama, New York, California (Palo Alto), Yokohama again, Switzerland, London, California again (this time San Francisco and Los Angeles) and Australia. When her first marriage, to Bill Beck, ended, she traveled from Australia to reunite with her family, after they moved to Anchorage, Alaska. 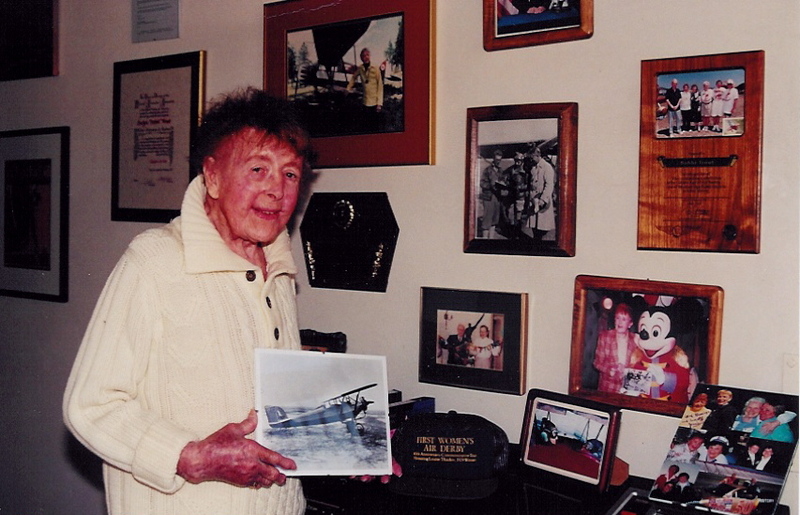 Shortly after moving there, she met Bob Wagstaff, a pilot with a flight instructor rating. Not long after their first meeting, he took her for her first informal flying lesson, in his Cessna 185 floatplane, equipped with dual controls. In her biography, “Fire and Ice: Life on the Edge,” written with Ann L. Cooper, she said it didn’t matter if she was rich or poor, male or female, why she was flying. “There was equality at the yoke in the cockpit,” she said. The title she chose for her book, published in 1997, reveals a lot about her beliefs. She said it’s a good synopsis of how she views the world and how her flying fits into it. She said that with fire as her “power,” she journeyed into her element, the air. She soon found that when she was in the air, everything paled in comparison. Flying opened a door to a whole new world. Not content to just earn her private pilot’s license, which she did in 1980, she added a seaplane rating the following year. She would eventually go on to obtain her commercial, multi-engine, instrument and commercial helicopter ratings. Presently, she’s also a certified flight and instrument instructor and rated to fly several types of aircraft from World War II warbirds to jets. Although she loved flying instantly, she knew she didn’t want to fly “straight and level.” Her focus on aerobatics began to emerge when Bob Wagstaff bought her a series of aerobatics lessons with Darlene Dubay in 1982. “I just knew that would be fun, and a challenge,” she said. 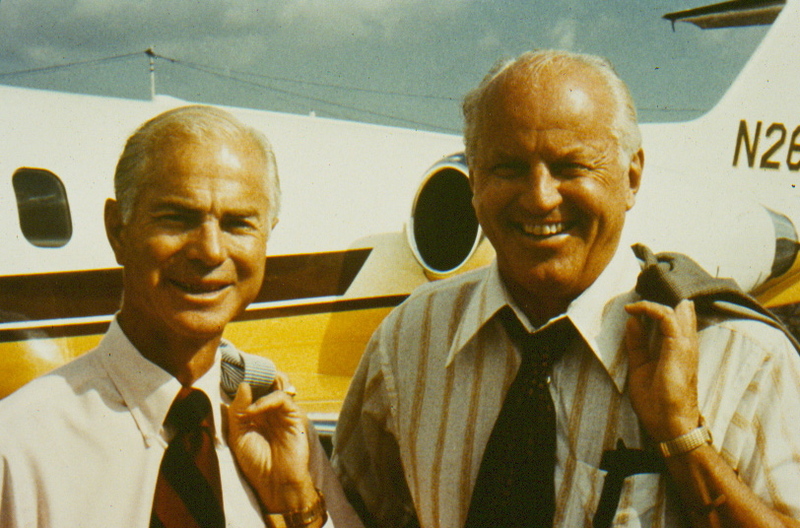 In 1983, Patty Beck and Bob Wagstaff flew together to British Columbia to attend the Abbotsford air show. It was the first air show she had ever attended. Once there, she instantly felt like she was on the “wrong side of a fence that separated the spectators from the performers.” “I wanted to be a part of their lifestyle,” she said of the participants. When the couple traveled to see their first aerobatic competition later that year, she knew she could be a competitor. By spring of the following year, with Bob Wagstaff’s help, she had purchased her first aerobatic airplane, a Champion Bellanca Decathlon, 1118 Echo. Her new 180-hp aircraft sported a patriotic red, white and blue color scheme. She performed in her first air show in May 1984 in Gulkana, Alaska. Patty Beck Air Shows, Inc. was formed on July 9, 1984. During the summer of that year, she performed in three additional airs shows in Alaska. Then, a month later, on August 10, Patty Beck became Patty Wagstaff in a ceremony at the courthouse in Oshkosh, Wis. Instead of being satisfied with competing at lower levels, Wagstaff set her sights on winning a U.S. National Aerobatic Championship at the unlimited level. To help her reach that goal, she traveled from Alaska to Pompano, Fla., to be coached by and train with three-time national champion Clint McHenry. She also studied ballet, along with metaphysical and Zen literature, to achieve not only the physical ability that such competition demands, but the mental focus as well. She said that “the balance” between performance and competition was what pleased her the most. She said air show flying, which appealed to her gypsy nature, moved more to the lyrical rhythm of modern dance. She loved that freedom. She said that in competition, the climate was sometimes clouded with intensity and tension, while on the air show line, during an afternoon’s performance, the mood was often “conscientious yet lightened with laughter.” “I was finding the best of both worlds,” she said. It was good that she enjoyed both, because flying air shows generated income that greatly offset the costs of competition aerobatics. The combination was also very beneficial when it came to national and international recognition as one of the top aerobatics competition and air show pilots in the world. 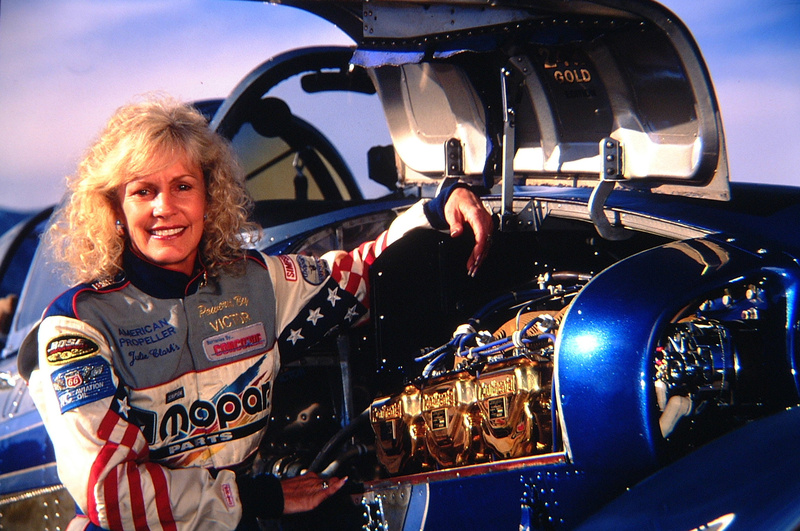 Patty Wagstaff earned a spot with the U.S. Aerobatic Team initially in 1985, and continued to do so through 1996, the last year she flew competitively. In her quest to make the 1985 U.S. Aerobatic Team at the U.S. Nationals in September, Wagstaff enlisted the aid of Gene Beggs and Betty Stewart, a former national champion and two-time women’s champion. As a result, she won first-place foreign pilot in the Canadian National Aerobatic Championships that year. She did that flying the Pitts S-1S biplane she owned half-interest in with Ron Fagan. She followed that success by earning the fifth slot on the U.S. Aerobatic Team, which would represent the country at the 1986 World Aerobatic Championship in England. Wagstaff earned a spot with the team each year from 1985 through 1996, the last year she flew competitively. Along with other members of the U.S Aerobatic Team and pilots from 17 different nations, she flew in her first World Aerobatic Championship, an event considered to be the Olympics of competition flying, in South Cherney, England, in 1986. Three U.S. team members placed in the top 10 in that event. The year 1987 was a pivotal one for Wagstaff. Five weeks before the nationals, she transitioned from her Pitts to a new Extra 230. The Wagstaffs felt that the sleek, high-performance monoplane was better suited to the highest levels of competition flying found at the nationals and world events. She finished in sixth place overall in the 1987 U.S. National Aerobatic Championship, winning a place on the U.S. Aerobatic Team, and finished as the top woman in the Nationals. She also signed her first air show performance contract. 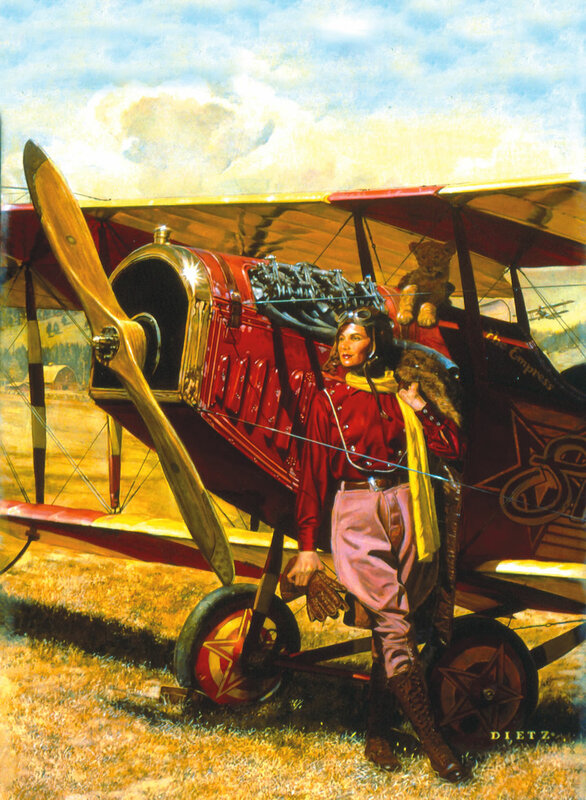 That same year, partially due to help from Duane Cole, she flew as an air show performer at the Experimental Aircraft Association’s annual Convention and Fly-In in Oshkosh, Wis., for the first time. She also received the Rolly Cole Memorial Award for contributions to sport aerobatics. She attributes that award to her performance in the U.S. Nationals. She flew the Extra 230 in the 14th World Aerobatic Championship (1989/1990, Red Deer, Canada), as one of three women on the U.S. Aerobatic Team. That year, the team won the women’s world championship, resulting in the first defeat of the Russian women’s team in 20 years. Also that year she won the Betty Skelton First Lady of Aerobatics Trophy for the first time. The award, named after an aviation pioneer who set altitude records and won many aerobatics competitions from the mid-1940s until she ended her flying career in 1951, is presented to the top-ranking, top-scoring woman in the U.S. Nationals each year. Skelton also pioneered the ribbon cut maneuver. That maneuver—in which the pilot flies through and cuts a large ribbon held between two volunteers on the ground in the air show performance area, with the airplane inverted just a few feet from the ground—is a signature element of Wagstaff’s air show performances. At the 1989 U.S. National Aerobatic Competition, Wagstaff placed fourth overall and earned the highest score among all of the women competitors at the event. That success earned her a slot on the U.S. Aerobatics Team that would compete in the 1990 WAC. She also flew her Extra 230 in several air shows that season. For four years in a row, at the 15th (1990/91, Switzerland), 16th (France), 17th (Hungary) and 18th (U.S.) WAC, she was the top U.S. medal winner. At the 1990 WAC, her raw scores were the highest of any competitor, but she was ranked in second place in the women’s competition. She attributes the questionable outcome to a new scoring system put into use that year. That was also the year she acquired Walter Extra’s prototype Extra 260. She flew the airplane in the U.S. Nationals in 1991 and 1992. Both years she was U.S. National Aerobatic Champion. She also kept up her high level of performance at air shows, as evidenced when she was voted Western Flyer Reader’s Choice Favorite Airshow Performer in 1991. That year, the Extra helped provide her with the performance to win nearly every competition she entered before the U.S. Nationals. In that event, she won the gold medal in each flight: compulsory, freestyle and unknown. In 1993, the Extra 260 became part of the historic collection of airplanes at the Smithsonian Institution’s National Air and Space Museum, as a part of the Pioneers of Flight Gallery, where it still resides today. An Extra 300S, which took the place of the 260 in 1993, was instrumental in helping Wagstaff win her third U.S. national title. That aircraft was larger and stronger than the previous one, and also had a higher roll rate. 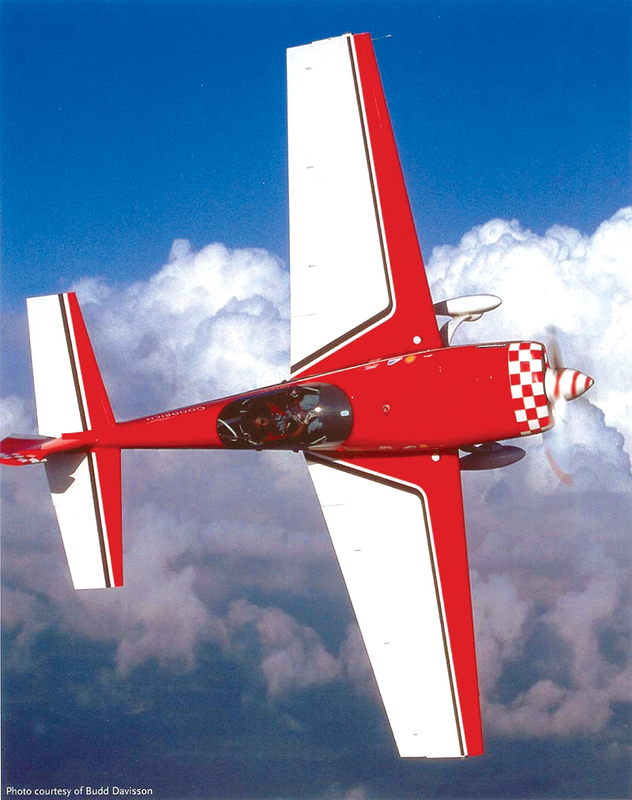 Wagstaff flew the 300S at the 1994, 1995 and 1996 U.S. Aerobatic Championships and at the 1994 and 1996 WACs. In those events, she finished among the top 10 aerobatic pilots in the world and was named the top American pilot. But the nationals of 1994 and 1995 had come at a time when her marriage was breaking up, partially due to time spent a part, and partially due to different opinions as to what she would do with her life. In particular, her husband preferred she stick with competition, but she wanted to do air shows. In 1994, she said her motivation slipped; she came in a close second to Phil Knight. The title also eluded her at the 1995 nationals when Mike Goulian won. But she said that winning three nationals had proved her point. “I knew, too, that without Bob, competition aerobatics would never be the same for me,” she said in her book. 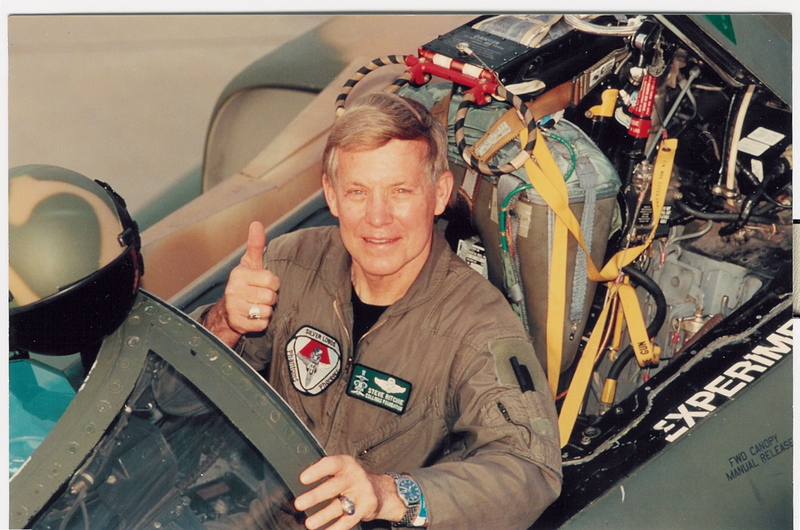 After flying a combination of competition and air show events every summer since 1985, Wagstaff decided to stop competitive flying in 1996. When she ended her competitive flying career, she had compiled one of the most outstanding records in aerobatic aviation history. In addition to her honors at the U.S. National and WAC competitions that year, she was also awarded the Charlie Hillard Trophy and was named the GAN and Flyers Readers Award for Favorite Female Performer. 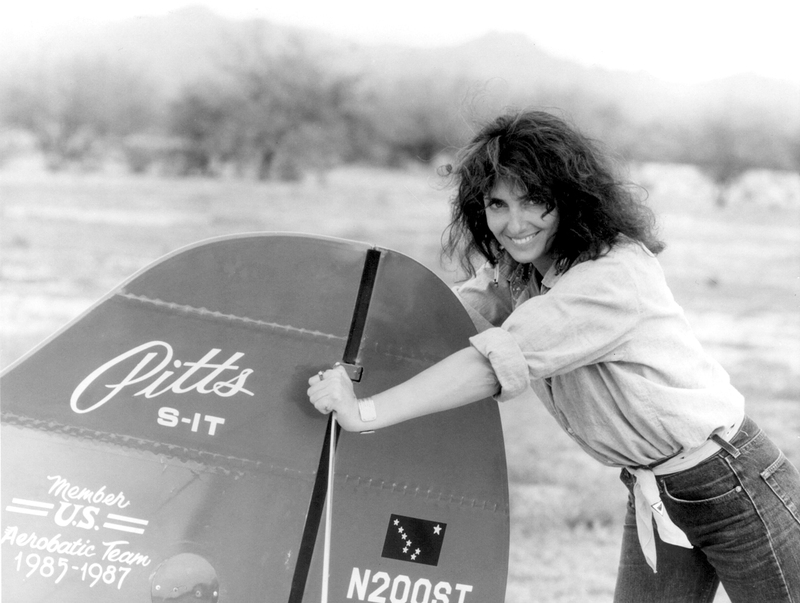 In 1997, she was inducted into both the Arizona Aviation Hall of Fame and the Women in Aviation, International Hall of Fame. The following year, she was awarded the Bill Barber Award for Showmanship. 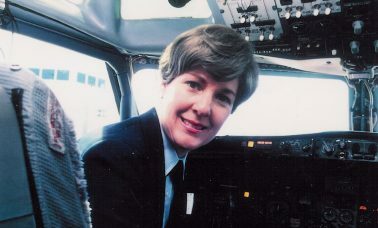 Her latest achievement was to be inducted into the National Aviation Hall of Fame in 2004. Along with these honors, Wagstaff has served on the board of directors for the National Air and Space Museum for the past five years. She was also appointed by President Clinton to serve on the Federal Advisory Board for the Centennial of Flight Commission and flew at Kitty Hawk as a part of the activities to commemorate 100 years of aviation. Although Wagstaff no longer participates in aerobatic competitions, her previous exposure to that environment helps her plan and execute routines during her air show performances. That same background helps her fellow performers as well, she added. Along with her determination and physical conditioning and skill, two other elements continue to help make Wagstaff an air show favorite both nationally and internationally. They are music and her dedication to the spiritually-based meditation that keeps her in focus during her routines. That combination particularly helps when she’s performing her signature maneuvers, which include the extremely difficult eight-sided loop. She’s evolved in other ways as well. The pilot who was too shy to respond to the crowd after her first air show performance has become a crowd-pleasing entertainer, both in the air and after her last flight at each show. She particularly enjoys visiting with children who attend events. Not only does she enjoy spending time with these younger people at the shows, but as an Experimental Aviation Association member, she participates in and supports the EAA Young Eagles program. She also participates in the Dallas-based Challenge Air for Kids program, in which volunteer pilots with disabilities fly disadvantaged children to provide them with exposure to aviation. Since its inception in 1993, the program has provided more than 18,000 children with flights. Wagstaff also enjoys the interaction with other air show performers. One of the reasons she embraced the “aviation family” early on was because of the kindness and camaraderie she found. That makes it even harder to handle when the community faces tragic losses. Within that extended family, Wagstaff in particular cited Duane Cole, Clint McHenry, Bob Herendeen, Gene Begg, John and Martha King and Betty Skelton as being of great help and inspiration to her. Another influential person is the great aerobatic performer Bob Hoover. She felt deeply honored when he came up to her and praised her performance after an early air show. Beyond the excitement of air shows, and the camaraderie, there’s another aspect seldom seen by those on the spectator side of the fence. That’s all the work that goes into the preparation of the airplanes, by the performers and their staff, to make sure the show is a success. During the air show season, Wagstaff employs a freelance mechanic to make sure her Extra 300S will perform its best. However, she also does a considerable amount of work herself, both on and off season. Another less-than-glamorous aspect of a career as an air show performer is that it’s hard to make a living at it as a sole occupation. As for her, Wagstaff says she’ll continue her career because she doesn’t know what else could be as appealing. 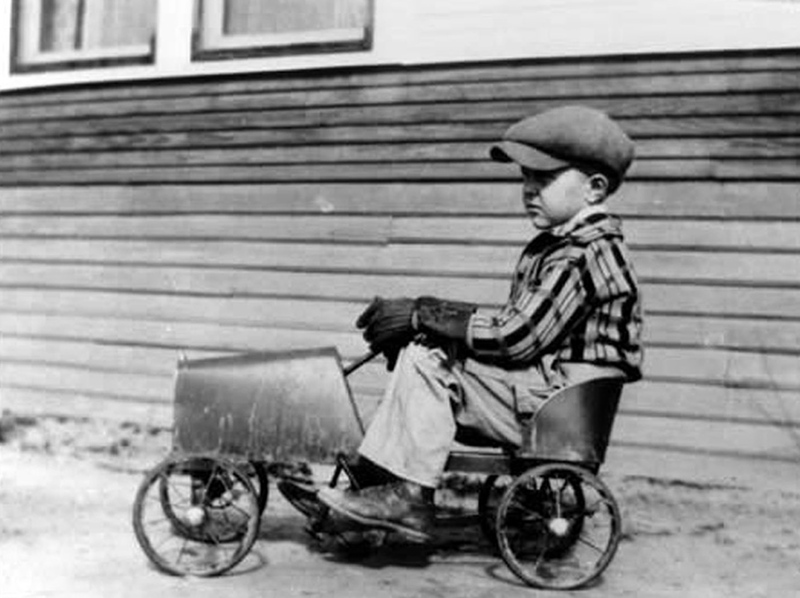 The only other thing that could even come close to Wagstaff’s need for speed, focus and excitement is automobile racing. She’s been to racing school twice over the past few years to see if it had any potential for her. But how long will she continue to do it? 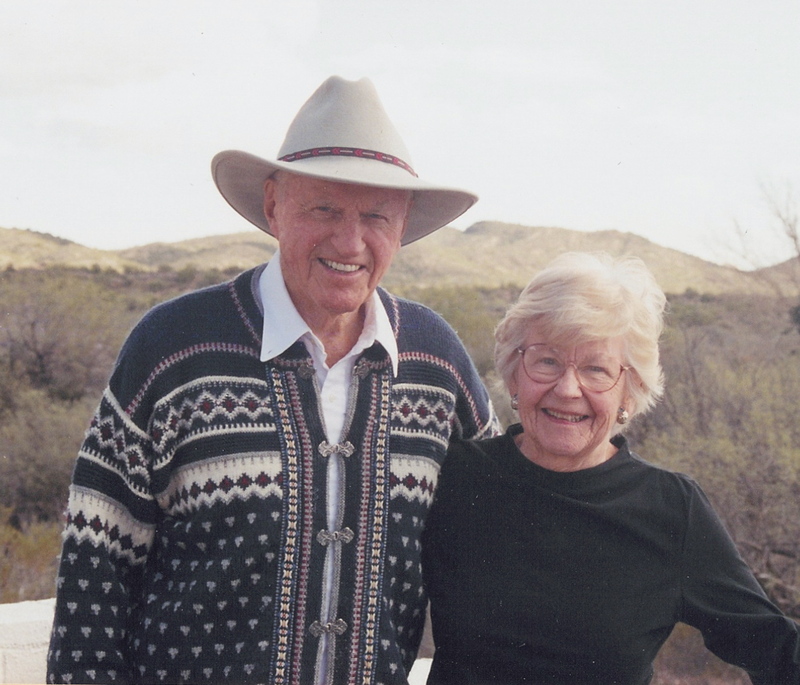 Slightly over two years after she and Bob Wagstaff ended their relationship, Patty Wagstaff moved to Florida from the Tucson area, where she had trained for years and had eventually set up her office. She found the perfect location for her career and personal needs in St. Augustine. She lives just a few miles from St. Augustine/St. Johns County Airport, where she now bases Patty Wagstaff Air Shows. A number of aerobatic pilots make that airport their base of operations. In addition, since the airport is along the East Coast, several air show performers come through the area in the spring, Wagstaff said. “We do spring training together, and there’s a lot more going on then,” she explained. In addition to her Extra 300S, she also keeps her Baron and Super Cub at the airport. Wagstaff says she continues to fly her Extra in her air show performances today because it’s the best aerobatic airplane available. She gave several reasons for her belief. 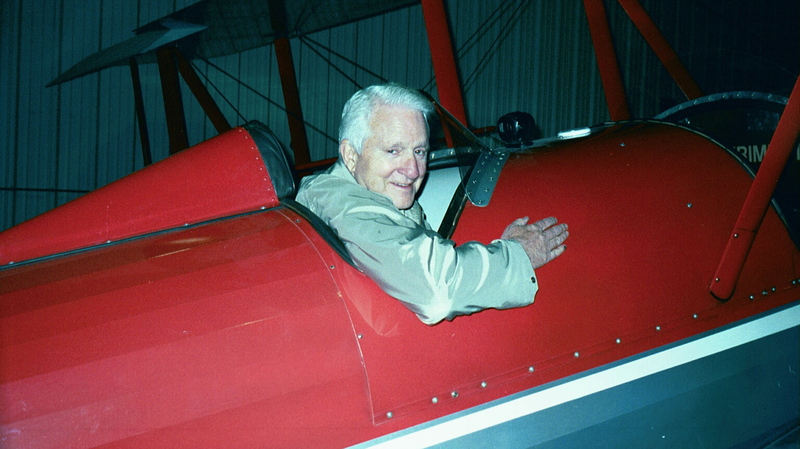 One different aspect of flying for Wagstaff has been as a stunt pilot for the motion picture and television industries. She’s appeared in movies and commercials. She’s a member of the Screen Actors Guild, the Motion Picture Pilots Association and the United Stuntwomen’s Association. She also contracted with Microsoft to appear in that company’s World of Flight CD-ROM, and her Extra has been featured in a number of Microsoft Flight Simulators, including the 2004 version. Wagstaff has flown several times with the Blue Angels and the Thunderbirds demonstration teams, and she’s demonstrated aircraft for aviation companies, including Raytheon’s T-6A Texan II trainer. With her 2005 air show commitments already made, Wagstaff is already planning her work schedule for the off season. While doing so, she weighed the advantages and disadvantages of not having a primary sponsor. She says her next immediate challenge will be to find a major sponsor.